QPR manager Harry Redknapp has backed England to overcome Uruguay and especially if Luis Suarez is unable to make the first team for the crunch game. England battled bravely but slumped to 2-1 defeat against Italy in their opening game whilst Uruguay lost 3-1 to Costa Rica. Redknapp expects England to recover and win, as he told the Evening Standard yesterday. “The selection that matters most for Roy Hodgson on Thursday is one that's out of his hands. 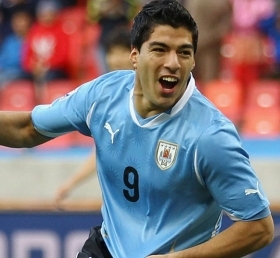 If Luis Suarez doesn’t play I think Uruguay have got no chance of beating us,” the Queens Park Rangers boss quipped. “They rely massively on the front two and, as I said before the tournament, if you take out Suarez and Edinson Cavani then they’re a pretty average side. “Their centre back, Diego Lugano, who played for West Brom last season… I watched him a couple of times – my god! – we’ve got to have a chance with him in the team.